The U.S. Apple Association (USApple) is calling the Environmental Working Group’s “Dirty Dozen” list, released March 20, both “inaccurate” and “harmful” to Americans. The report, issued annually, offers consumers an extremely biased view of various fruits and vegetables to avoid based on misleading and flawed reporting by the activist group. 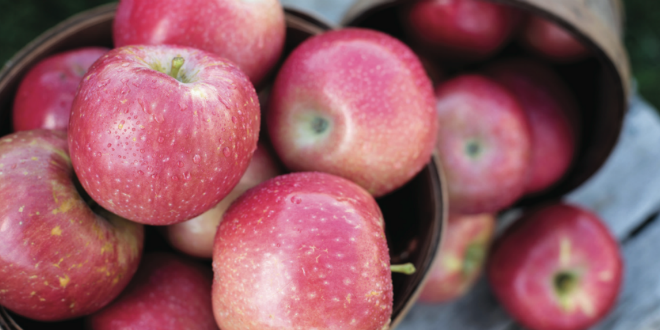 According to the Safe Fruits and Veggies pesticide calculator, a child could eat 340 servings of apples every day without effect from pesticide residues. A woman could eat 850 apples a day and a man 1190 apples a day with no effect. When making dietary choices, USApple urges consumers to follow the advice of the American Heart Association, American Cancer Society, American Diabetes Association, the U.S. Centers for Disease Control and Prevention, Academy of Nutrition and Dietetics and Dietary Guidelines for Americans, who all say eat more fruits and vegetables. • EWG’s misleading information affects the health of low income families. Peer-reviewed research published in Nutrition Today shows messaging tactics that invoke safety concerns about non-organic produce may have a negative impact on consumption of fruits and veggies among low income consumers. • EWG’s report is not peer reviewed. Unlike other health reports submitted to media, EWG’s list is not peer reviewed by an independent body of scientists, academia or other review boards. We encourage media to instead review these four peer-reviewed studies: Journal of Toxicology, Journal of Epidemiology and Community Health, British Journal of Cancer and Journal of Food and Chemical Toxicology. Since 1995, an activist group has released a so-called “dirty dozen” produce list. However, peer reviewed studies show this list’s recommendations are not scientifically supportable while other studies show it may negatively impact consumers since it discourages purchasing of any produce – organic or conventional. “There are many ways to promote organic produce without resorting to disparaging the more accessible forms of fruits and veggies that the science has repeatedly shown are safe,” says Teresa Thorne, Executive Director of the Alliance for Food and Farming (AFF), which represents organic and conventional farmers of fruits and vegetables. “For example, the AFF has a web page at safefruitsandveggies.com with lots of positive information for consumers about organics,” she adds. “It is time to stop calling non-organic forms of healthy fruits and veggies ‘dirty’ and perpetuating unfounded safety fears that may negatively impact consumers’ purchasing of both organic and conventional produce,” Thorne says. A study specifically examined the risk/benefit of consuming a diet rich in conventionally grown produce and pesticide residue exposure. That study determined that if half of all Americans increased their consumption of a fruit and vegetable by a single serving each day, 20,000 cancer cases could be prevented each year. The study authors concluded that the overwhelming difference between benefit and risk estimates provides confidence that consumers should not be concerned about cancer risks from consuming conventionally grown fruits and vegetables. Peer reviewed research has shown that the author’s “dirty dozen” list recommendation to substitute organic forms of produce for conventional forms did not result in a decrease in consumer risk, because residues are so low on conventionally grown produce, if present at all. An analysis conducted by toxicologists with the University of California’s Personal Chemical Exposure Program found a child could eat hundreds to thousands of servings of a fruit or vegetable in a day and still not have any health effects from residues. For kale, a woman could eat 18,615 servings in a day and a child could consume 7,446 servings. Thorne adds that there are decades of nutritional studies largely conducted using conventionally grown produce which conclude that a diet rich in fruits and veggies prevents diseases, improves health and increases lifespan. “Since only one in 10 Americans eat enough fruits and vegetables each day, it is important to promote consumption and support public health efforts to encourage healthier diets instead of creating unnecessary fears about eating non-organic fruits and vegetables, which are wholesome, safe and more affordable,” Thorne says. For consumers who may still be concerned about residues, the FDA says washing your produce under running tap water often removes or eliminates any residues on organic and conventionally grown produce that may be present. To learn more about the safety of all fruits and vegetables visit safefruitsandveggies.com or our Facebook and Twitter pages. The Alliance for Food and Farming (AFF) is a non-profit organization formed in 1989 which represents organic and conventional farmers. Alliance contributors are limited to farmers of fruits and vegetables, companies that sell, market or ship fruits and vegetables or organizations that represent produce farmers. The organization’s mission is to deliver credible information about the safety of fruits and vegetables. The Alliance does not engage in any lobbying activities, nor does it accept any money or support from the pesticide industry.